Programmable logic controllers (PLC) give you the ability to control practically anything. As programmed intelligence, a controller runs by itself with no need for human interaction, except to receive updated set points or supervisor commands from the SCADA system or local HMI. Changing priorities or schedules on HVAC equipment, or performing automatic throw-over (ATO) on electrical switchgear are just a few examples. Choosing the right PLC can be overwhelming for most people. If you’ve been tasked with determining what control solution is needed for your next application, a control system integrator (CSI) can be an excellent resource. A CSI should be technology agnostic. Their priority should be to understand your specific technical and commercial requirements. Only after clearly understanding your objectives should a CSI begin the process of discussing potential PLC options. It should never be the other way around. If a CSI tries to make your application fit in to their PLC solution, then you are not working with a true systems integrator. We wanted to give you a little insight into how we evaluate and categorize PLCs. When it comes to selecting a PLC, manufacturers are abundant and models within a specific brand can be just as plentiful. The process is not much different than buying a car; although, most owners will not buy a PLC based on its looks. Knowing how fast you want to go (CPU speed), how many people can it accommodate (number of I/O), its reliability (warranty and redundancy options), and if you need to go off-road (environment/conformal coatings) are just a few of the considerations we ask you about as we seek to establish your requirements. As a true control systems integrator, we are not partial to a specific PLC manufacturer (unlike other channel providers such as distributors or dealers who sell specific brands). We are experienced with a multitude of different PLCs brands, each with its own merits. The following three are the most common, and best suited for the environments we work in, specifically mission critical data centers, solar farms, hospital central utility plants, and manufacturing. Every environment is different, which is why we could recommend three different PLC vendors to three different customers. Ultimately, it all boils down to reliability, serviceability, maintainability, cost, and long-term effectiveness. 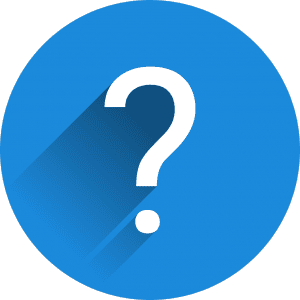 Here are some questions your control systems integrator should ask you as he/she learns more about which PLC to specify. 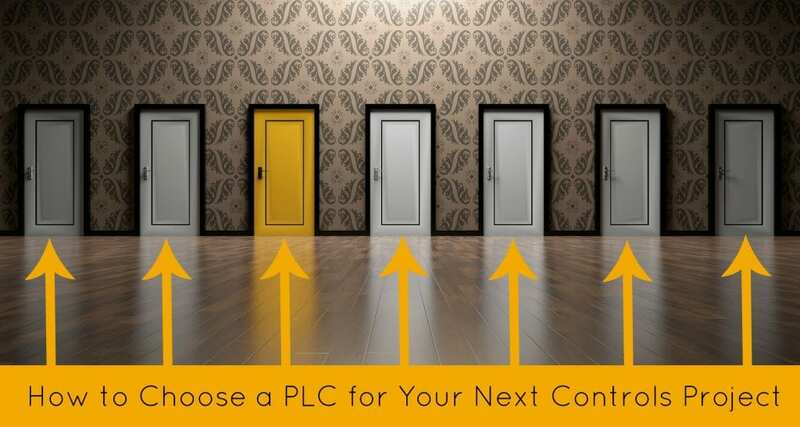 Think about compatibility What PLCs are in your system already? Will they play nicely together? How many inputs/outputs do you plan on programming? You don’t want to pay for excess, or not have enough. How fast does the PLC need to complete actions? What type of operator interface do you want? A dedicated HMI, or SCADA software? Serial or Ethernet connection? Are you hoping to perform many unique actions with your controller? Is customization very important to you? Do you want to ‘lock up’ some intellectual property in a subroutine that others can’t unpack? What’s your budget? Including programming and installation? What type of memory and size do you need? You don’t want to run out of space during the programming process. What type of vendor support can you receive? If you intend to maintain the PLCs with your own personnel, this can be very important. If you are planning on using your CSI for support this may be less of a concern. Do you have growth plans in the future? You’ll want to choose a scalable controller that will allow you to add remote I/O as your process automation footprint grows. How long do you need the PLC to last? What’s it’s projected lifecycle? How critical is the control sequences that are being executed? If human safety is at stake or significant loss of revenue is possible, redundancy will need to be considered. What types of instruments will be integrated and what is their interface and protocol? Hopefully those questions give you a taste into exactly what we go through when specifying a PLC to ensure it’s the best fit for an environment. To get more specific, I’ve compared three common PLC vendors used in critical environments. Please remember that Affinity Energy is an open systems integrator, and in no way endorses any one product. These are just our observations and insights from our 14+ years helping customers select the correct PLC for their environment. If you pay for it, Modicon’s programming software (called Unity Pro) unifies five different PLC programming languages. The engineer who programs the PLC can mix and match between ladder logic, function block diagram, structured text, instruction list, and sequential function chart. This is a fantastic and unique feature, because each engineer has a differing programming background. 20 years ago, everyone learned ladder logic. But now, new languages are developed and accepted. Not only does this allow for a broader range of developer backgrounds, but some languages lend themselves to greater efficiency in certain tasks. For example, accomplishing a task in ladder logic might be a challenge, whereas with structured text it may be a lot simpler. More efficiency and flexibility boils down to less budget spent in hourly development time. But it’s not just the software that’s good. Another great pro to Modicon is that the hardware is hardened for industrial environments. Most models are made to control large and complex machines in dirty environments. Additionally, they have incorporated the Ethernet/IP standard in their product line to allow for deterministic distributed I/O, which is important in mission critical control environments. Finally, of all three PLC vendors in this list, they have the longest manufacturer’s warranty (18 months). Like Allen-Bradley, Schneider Electric PLCs are considered grade A, due to their robustness and hardening. A typical cost will be a bit higher than average, especially compared to other non-hardened PLCs. Many PLC vendors are protective of their programming software code, and only allow certified vendors to install and work with their software. They might do this to avoid competition poaching or simply to ensure the device is programmed correctly. However, this proprietary policy makes it very difficult for customer O&M techs to fix minor issues, and forces them to schedule out and pay extra for certified Schneider Electric techs or control vendors. Because Schneider Electric is a worldwide company, equipment is not always available off-the-shelf in every local market. In addition, their technical support agents’ native language might not be English. But it all depends on what equipment you’re getting, and in which part of the world it’s sourced. The Automation Direct Do-more PLC is a very economical solution…for the right application. They aren't a great fit for redundancy or for smart instruments, but are a fantastic cost-effective solution for basic analog, discrete, and Modbus communications. A Do-more runs at about $800 for the base model, which is just about the lowest price for this tier of PLC. But their positives extend beyond just price. Anyone with a workable knowledge of PLCs should be able to support these applications, and because the programming software is free and non-proprietary, it can be easily modified by the end user with no training. The Do-more line is versatile. Many different modules are easily assembled in the PLC rack, such as general I/O, RTD, and networking modules. Automation Direct is known for its customer support in both purchasing and implementing their solutions. In fact, 95% of their customers say their phone support exceeds other vendors’. Additionally, the no hassle buying process is attractive to many. Do-mores function alongside Allen Bradley (and other high-end) equipment for what I would call basic control applications. Where Automation Direct is challenged is in high-fidelity applications. These applications may require redundancy, extreme environments, or the use of smart instrumentation. Even though the software is free, it’s strictly ladder logic. Ladder logic is the most common PLC programming language, but a small number of engineers or O&M personnel who know it might present limitations. In addition, Automation Direct (1994) hasn’t been around as long as Allen-Bradley (1903) or Schneider Electric (1836), and that might concern some. The good thing about their young age is legacy compatibility. Because they’re only 20 years old, they don’t have many products to maintain compatibility with. Allen-Bradley continues to be chosen because of its high reliability and maintainability. They have fantastic backward compatibility and legacy support, which means they would never release a new model without providing a migration path from previous generations of PLC. When new hardware features are integrated, software is upgraded to support all those features. If a new processor with more memory comes out, software will be up-to-date to support additional memory. Allen-Bradley conducts many usability focus groups and upgrades to make their products easier for customers to use. Unlike most PLC vendors, they have field technicians available to perform emergency repair or replacement (this is a paid service) with an inventory of most of their products (indicated as ‘preferred availability’ in their catalog. This means if something breaks or fails, you could easily have an Allen-Bradley field service tech onsite tomorrow with a replacement component ready to install. A relatively expensive path to repair, but if you support hardware deployed globally in mission critical applications, the cost of downtime may justify a rapid response. Another feature unique to Allen-Bradley is their global OEM support. If you wanted an Allen-Bradley processor integrated in a piece of equipment you planned to purchase, the global network of Allen Bradley distributors and sales support would contact the equipment manufacturer to help with OEM integration. Like Schneider Electric, Allen-Bradley allows programmers to protect their programming code with a couple different approaches. This means it can be virtually impossible for end users to work on the system without an OEM or integrator to turn over source code and provide system passwords. This can be a good thing if you’re a domain expert who wants to protect the methodology of a control algorithm, but a pain if you’re an end user who wants to change the way a piece of code works. Depending on the protocol your legacy devices use, you may have compatibility issues with an Allen-Bradley PLC. Modbus is a more widely used protocol, but Allen-Bradley is a little clumsy when communicating with it. 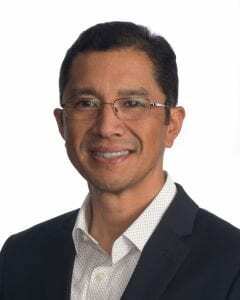 Prosoft, a connectivity technology company, makes modules for most Allen Bradley platforms to handle the communications, but the integration isn’t exceptionally easy. You can also write code to talk Modbus, but it’s not for the meek. On the other hand, if your plant is full of Allen Bradley automation devices (PLCs, drives, MCCs, motion control, etc. ), integrating Ethernet I/P can be quite elegant. For being a top-of-the-line, grade A PLC, Allen-Bradley only offers a one year manufacturer’s warranty. Schneider Electric offers 18 months. We would be remiss if we didn’t mention General Electric’s Intelligent Platform PACSystems. The GE PLC product line has a long history within the power and energy industry. Although, we haven’t specified as many GE PLC systems, we’ve probably programmed or integrated more GE PLCs than any other brand, due to our narrow focus in mission critical power. GE has a history of innovation as it relates to electrical protection and control. I can remember working with their older Genius products and Series 90 products over 20 years ago. 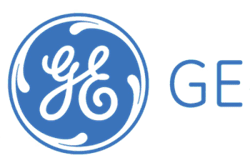 Some of my earliest experiences with deterministic distributed I/O and redundancy were on GE products. Several emergency power supply systems (EPSS) OEMs still use GE PLC within their equipment. The reality is, almost any brand PLC can handle most any application, if the I/O and memory are adequate for it. The differentiators from brand to brand come down to price, capabilities, hardening, and vendor preference. If you’re an end user, supportability is more important. For an OEM shipping thousands of systems per year, price will be a more important factor. The need for an industrial PLC is less important in some environments, even if they are considered industrial. For example, semi-conductors are made in a clean, temperature controlled environment with little or no vibration. In this environment, it probably wouldn’t be as critical to integrate the most industrially-hardened PLC. Ultimately, the best PLC for any application is the one the application engineer knows best. If your engineers already have experience with Allen-Bradley, because everything else in your plant is Allen-Bradley, stick with it! It’s worth the price. If you have a plant that’s a mix of everything, pick any vendor you prefer. If you want our assistance in choosing a platform because you’ve got seven different vendors with three platforms each in your environment, we can help standardize.